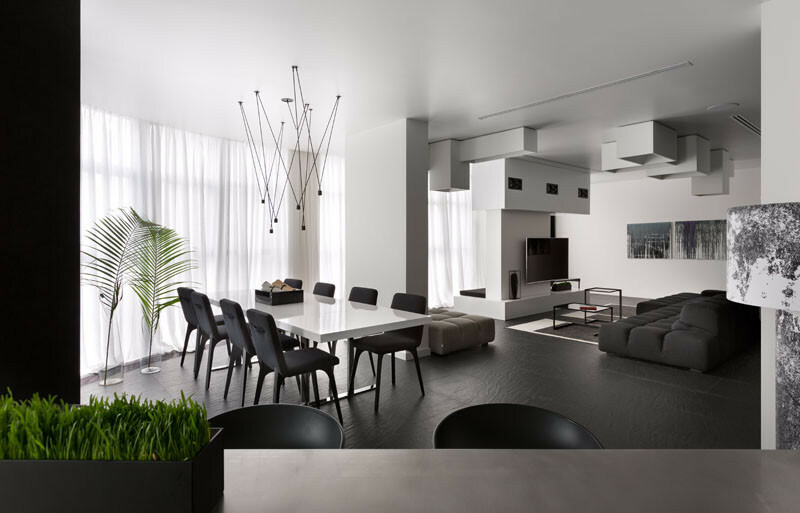 Ukrainian interior designer Lera Katasonova, has designed a mostly black and white apartment, for a young couple that loves to party. As you enter the space, you can see the large windows that provide views of the city. 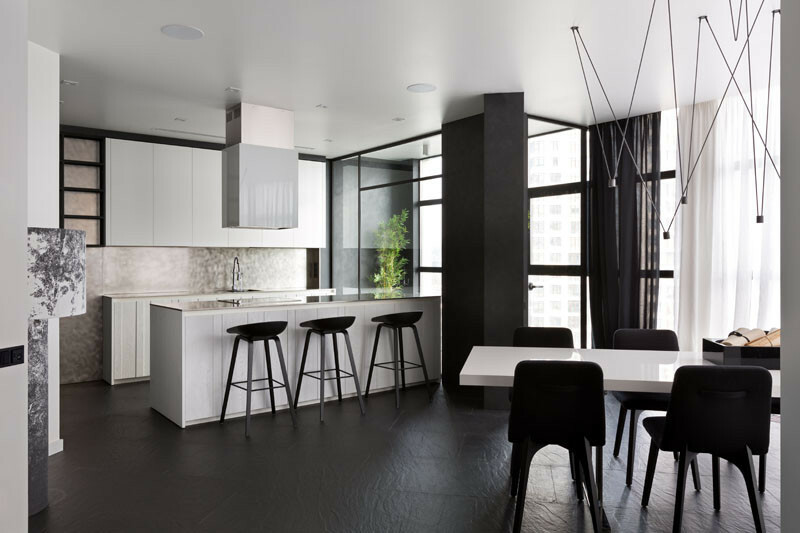 After entering, you discover that the apartment is curved, with the living, dining and kitchen area, all sharing the same space. Due to an unfortunately placed column that couldn’t be moved, the designer decided to use it as a place to hang the television, and create a movie/sitting room. Due to the open floor plan, there’s a clear view of the entire space from the sitting room. 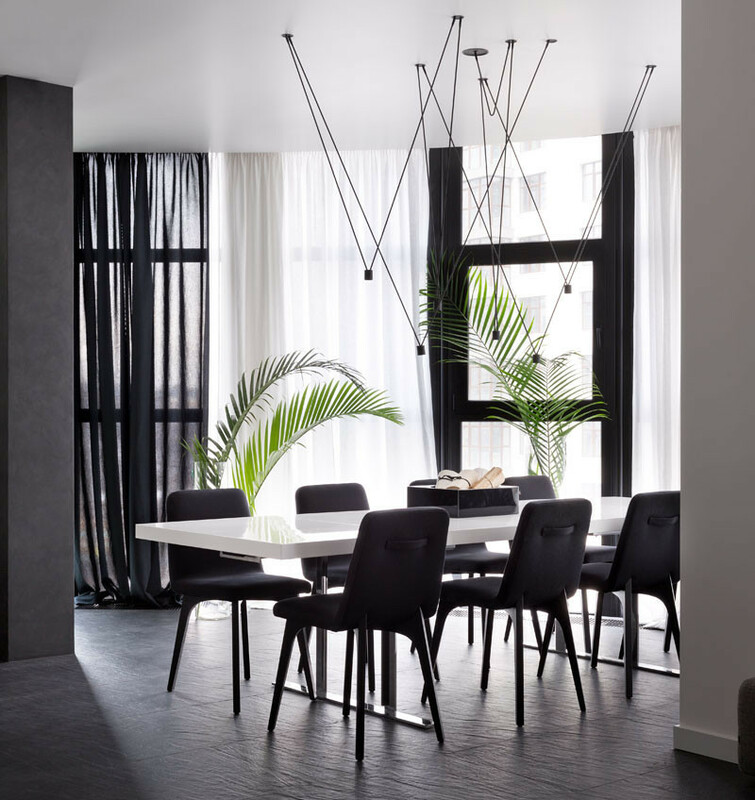 The dining room has sculptural pendant lamps that hang above the table and chairs. 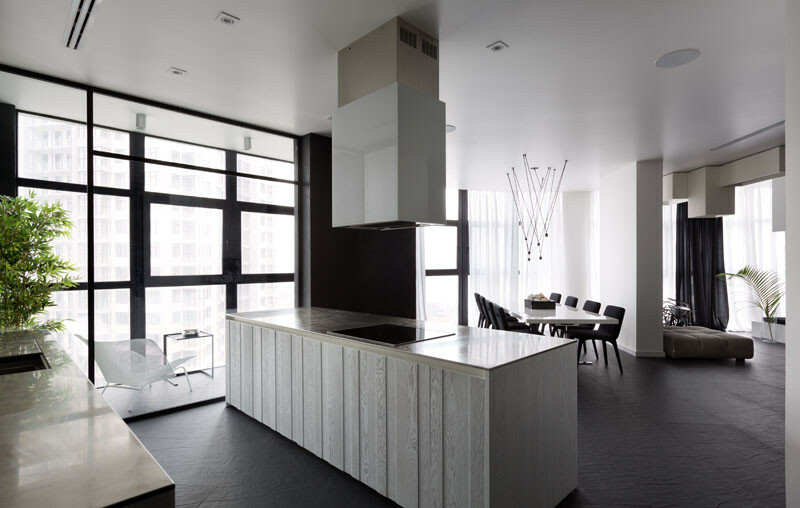 An island with cooktop, separates the dining area and kitchen. 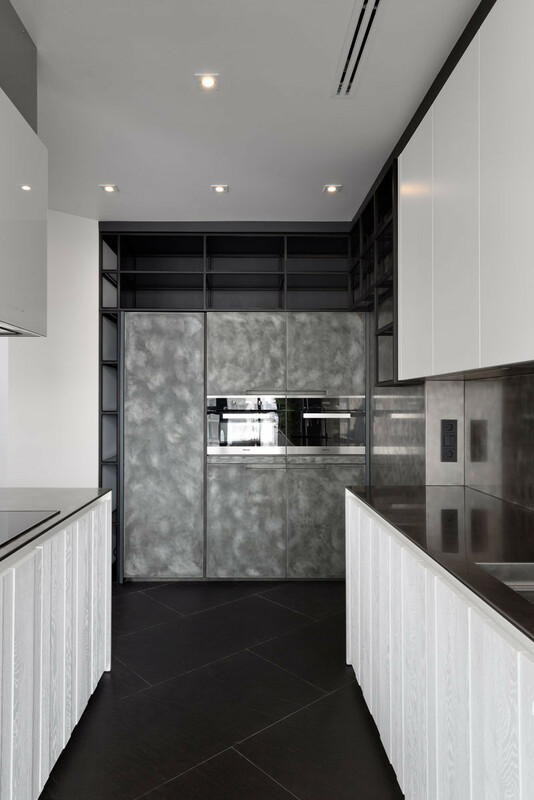 In the kitchen, the walls and table top are made of harrowed stainless steel, there are also textured cabinets of bleached wood. 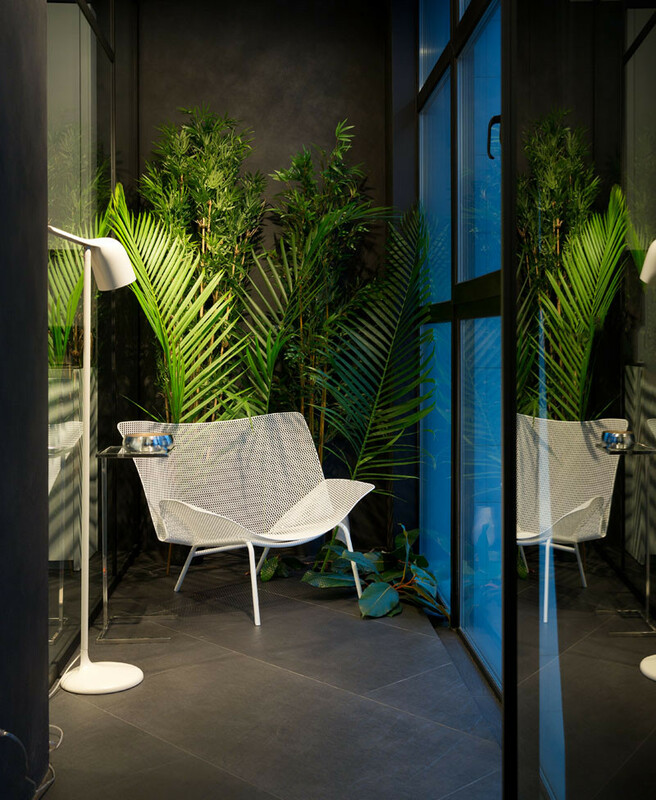 Just off the kitchen, there’s a small enclosed space, perfect for a tropical reading nook. 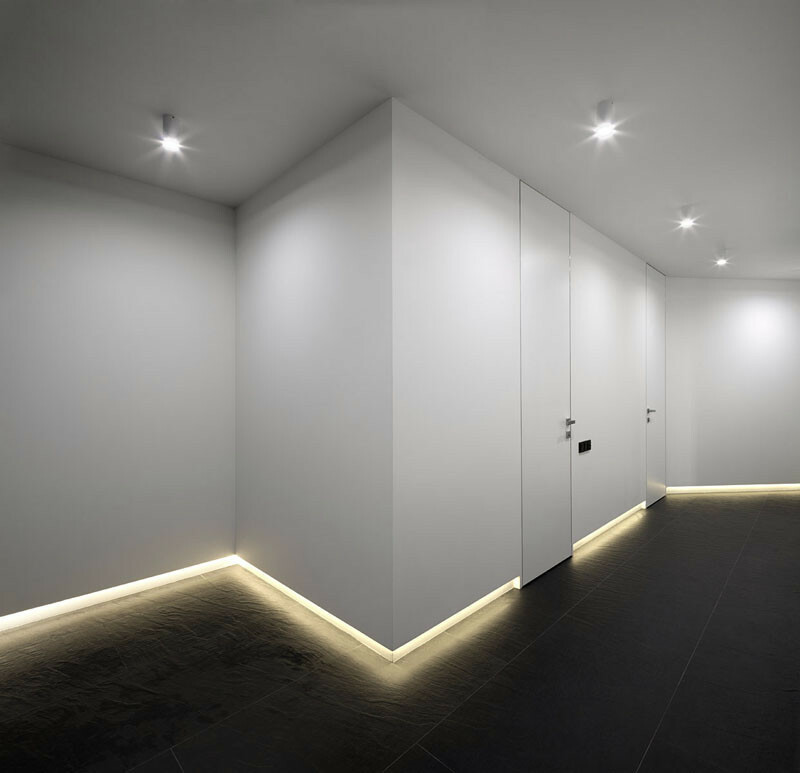 In the hallway, lighting along the floor, leads the way to the bedrooms and laundry room. 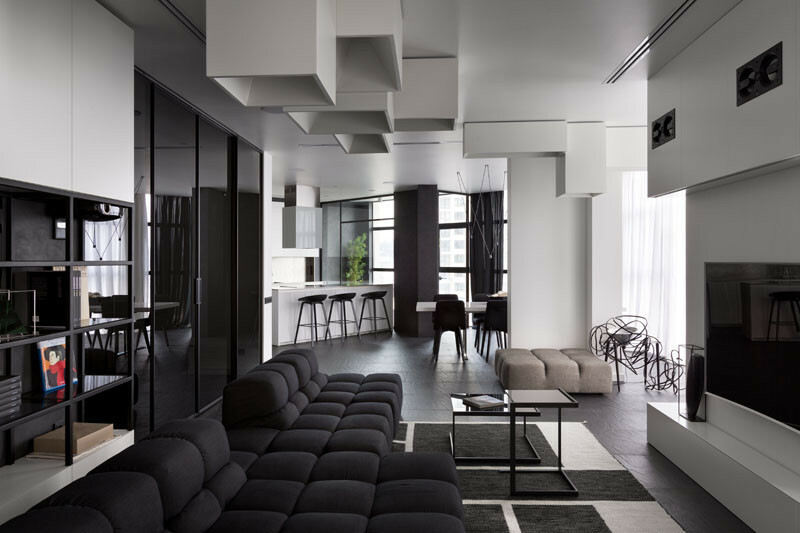 The apartment’s black and white theme has been carried through to the bedroom. 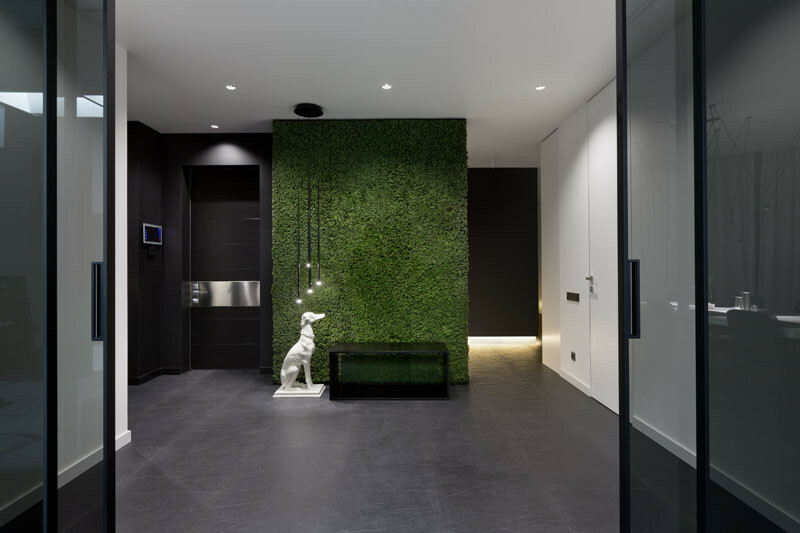 A large black textured feature wall draws your attention. The bedroom has a low lying fireplace. And a bright white walk-in closet for her. Just off the bedroom is a bathroom with large two-person bath. The bath has the luxuries of a television and fireplace. 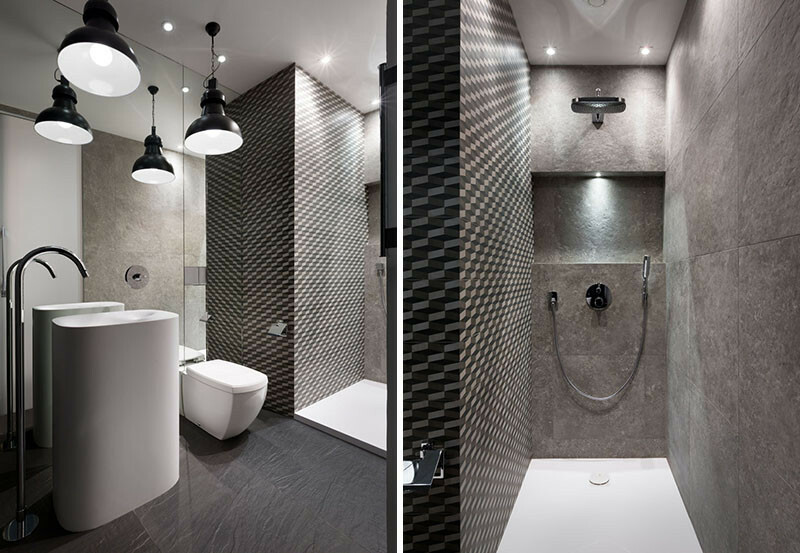 There is also a walk-in shower.